Find an Image icon on the left toolbar. Drag it onto the screen. Copy an image within the other program. 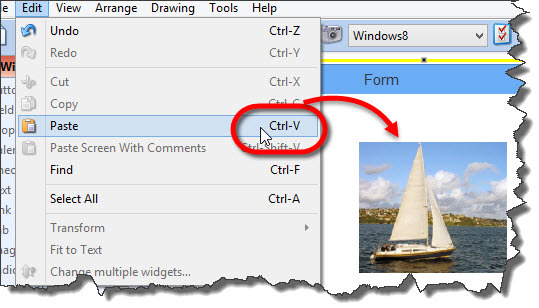 Make sure the Form or another widget is selected within the editor. Right-click and choose “Save image as…” option. You can also drag an existing image from outside the program and drop it onto the canvas (editor). It will create a new Image widget.